the realm of breed specific yarns. 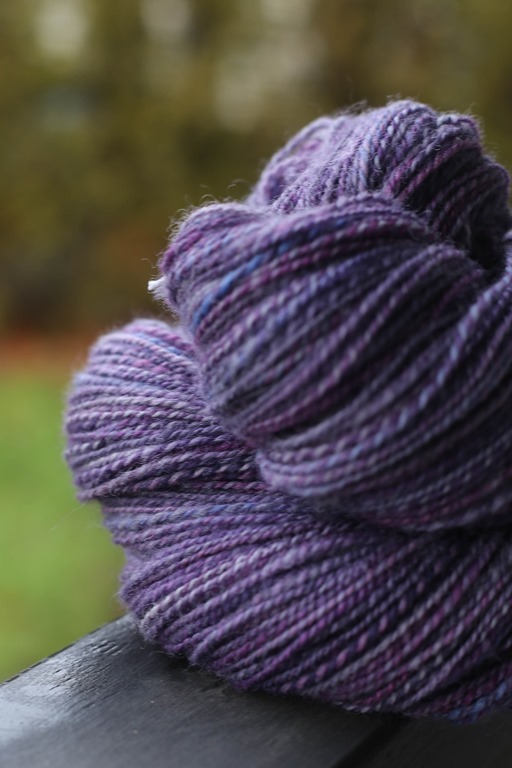 There has been much chatter in the knitting and spinning world about ‘breed specific’ yarns. It is a hot topic at the moment and one that I have quietly weighed in on from the sidelines. 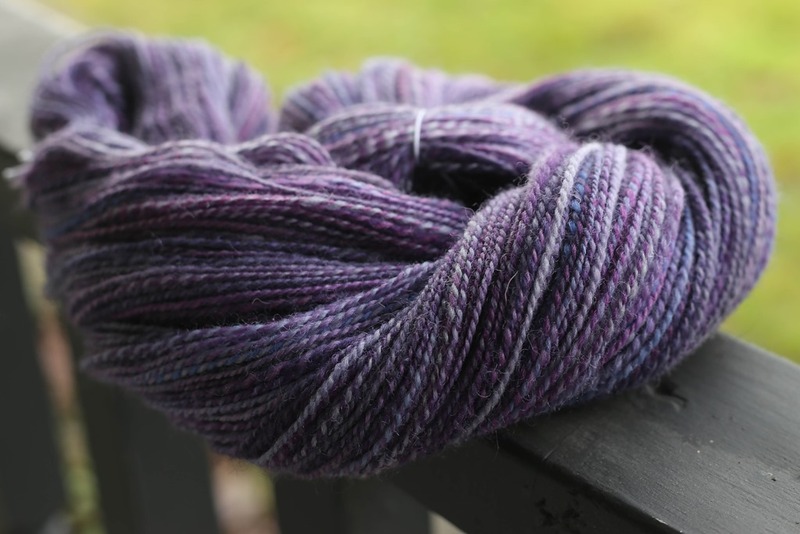 In my humble opinion, I think breed specific yarn is wonderful – it gives both the spinner and knitter the opportunity to reflect deeply about the characteristics one demands in their yarns. I say demands because sometimes warmth is non-negotiable and at other times, drape is most important for delicate lace work. In an effort to begin this intentional journey into the world of breed specific yarns, I decided to start with the most simple and humble of our knitted objects: Our Socks. For a long time, I have been looking for an alternative to superwash wools. There are many reasons for this quest, which I have delved into at other times, but the reality is this: We have two long-haired dogs, two toddlers and a busy, outdoorsy life. My/our family socks have to be machine washable. This is non-negotiable and our socks demand this trait. The sheep breeds classified as Down Breeds have an interesting characteristic: Their fleece is not easily felted. This brought me to the loveable sheep with white faces, namely Cheviot* or the Cheviot Family of sheep. *While Cheviot is not technically classified as a Down Breed, it is not reliably felt-able and acts more closely to Down fleece than anything else. I broke the braid down into little nests for speed when spinning. 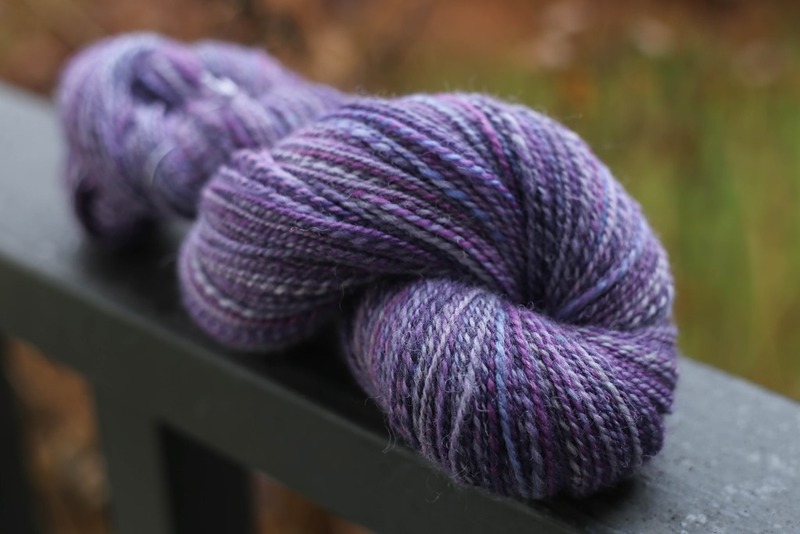 This also created much blending of the finished yarn, which is perfect for socks. Cheviot, in particular, is a breed of sheep with slightly finer fleeces, although some would still find them too coarse and toothy for next to the skin wear. 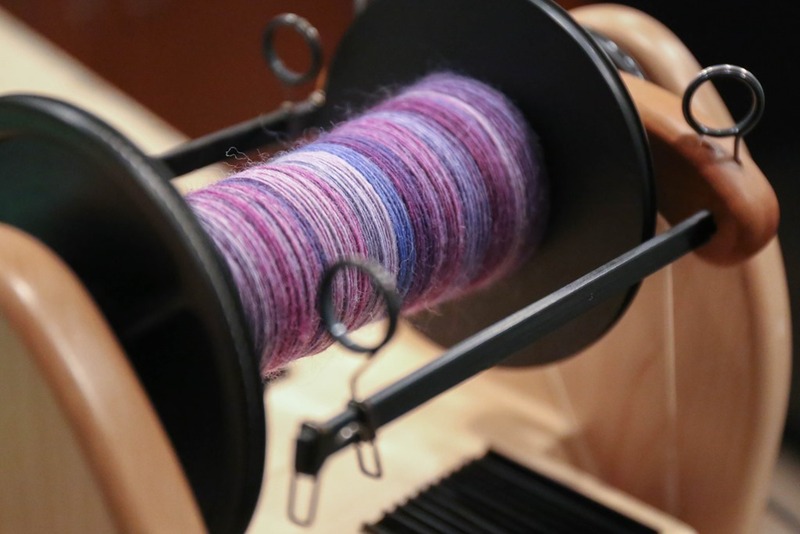 They are stiffer when compared to the Dorset Downs but I find I can more easily spin Cheviot finer, which makes it ideal for socks. I am positively in love with Cheviot. As Ekarius & Robson (2011) note, the Cheviot did not take dye as long wools do since it lacks lustre and has a ‘chalky’ quality to the fleece. They also go on to note that it is a versatile fibre and spins well. It can be carded, flicked or combed. 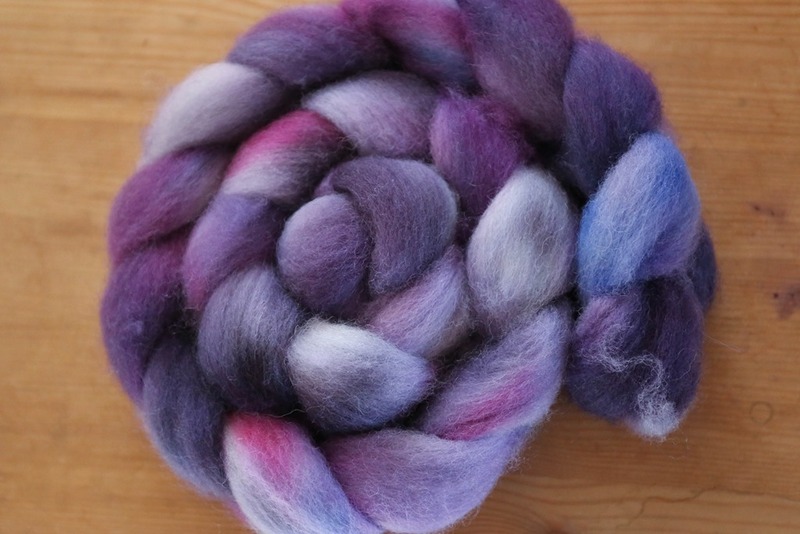 This was combed top from a local supplier to me (Vancouver, BC) and it was a dream to spin. Even after dyeing, it remained light and airy. 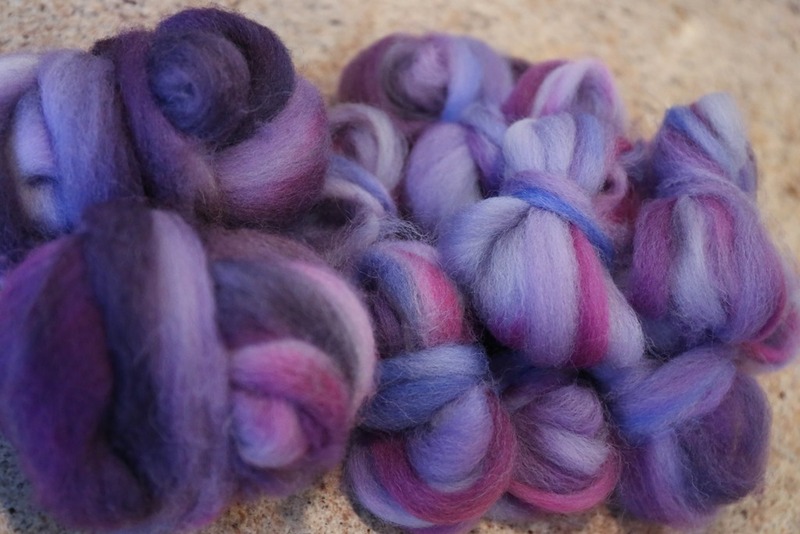 I spun it short backward draw, smoothing the fibres as I returned to my fibre supply. Even with the high twist I added, the fibre was substantial and able to take the twist. I purposefully inflicted more twist due to the need for durability in my eventual socks. During the planning of this yarn, I had actually hoped for more like 7-9 twists per inch (TPI) but now that I have started knitting, I can see that 5TPI is enough. It’s slightly difficult to knit with due to the high twist and that will assist with the durability but not make knitting so terribly unbearable. The next chapter in this experiment is whether these will be able to manage going into the washing machine … I’ll keep you posted! Ekarius, C. & Robson, D. (2011). The fleece and fibre sourcebook. Storey Publishing: North Adams, MA. Next Post textured yarn take 2. Great post and beautiful spinning as always! I look forward to hearing how these hold up in the wash.
Great review. Can’t wait to hear about the knitting. I have not tried this breed so will be looking for it at Yarn Fest at the end of March. This is exactly what I was looking for! Fairly new to knitting – I’m just getting a glimpse at the bigger picture. Thank you!